Lumit was started just over a year ago, and although I haven’t been a part of the project since the start, I followed it from a relatively early point in development. 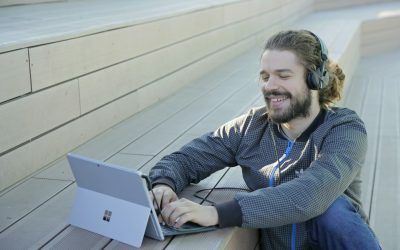 As a tester and later a blogger, I spent a lot of time in the software, breaking it down for optimization and writing about it. With this experience, I’d like to share some of the Lumit’s key features so that you can utilize the software in the best way possible. For the price you’ll be paying, you may not expect the native set of built-in plugins to be as good as they are. 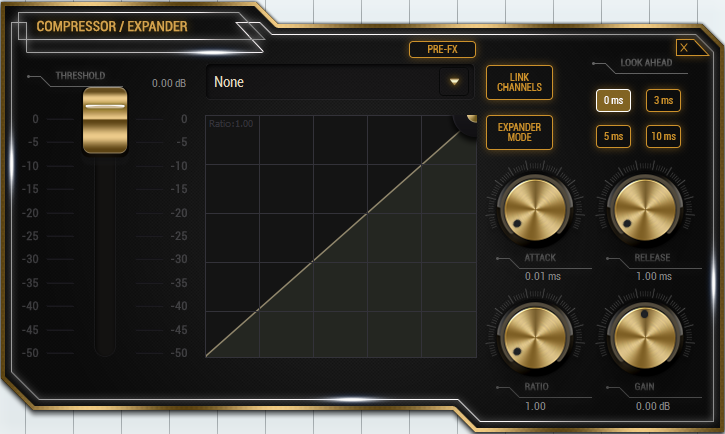 Lumit’s built-in compressor and expander serves all your dynamic needs. With the ability to assign a side-chain signal from a list of channels within the plugin, it’ll save you work and time because you don’t have to use bus track. The option to route the external key pre-fx, post-fx and post-mixer makes it possible to side-chain to ghost signals and, more generally, offers flexibility that we don’t usually see (See blog: Side Chain Settings). In addition, it is fully functional: with lookahead, the possibility of linking stereo channels and your usual attack, release, ratio settings and output gain control. Looks are subjective, but from my experience, the interface of Lumit’s built-in library is also a plus. It creates a very intuitive environment to work in. When it comes to creative effects, Lumit also succeeds. The delay unit is a prime example of this, as it gives you ways to shape your sound past the basic functions of a delay. It gives you the possibility to activate a low-pass filter on the feedback, which completely changes the character of the effect. On top of this, there’s an LFO that modulates the pitch of the feedback signal. You can change its wave shape as well as the rate and depth. This can turn a very simple sound into a complex ambient texture. ~ Here’s the default patch on Native Instruments’ Massive. ~ Using just the built-in delay on the simple patch, here’s what we can achieve. A DAW’s built in sample library is not usually a point of interest. But Lumit’s library is very modern and resourceful for electronic based production. 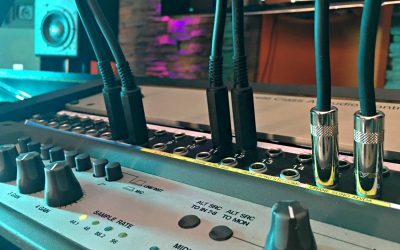 If you’re taking your first steps in production altogether, the sound bank provides you with the tools you need to get a solid musical idea going and inspire creativity. 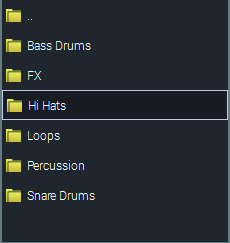 You’ll find individual drum hits that range from digital to acoustic textures and drum loops that you can chop up for their individual hits or use as pre-made musical elements. The FX section gives you white noise sweeps and other ambient effects that will help add a sense of depth to your production but also, more specifically, help you transition between different sections of your track. In addition to drum loops and FX, you’ll find short melodic and harmonic passages which can also be chopped and edited to your liking. 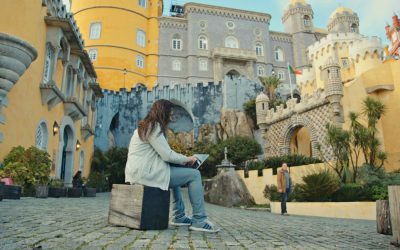 Lumit offers some features that simplify your workflow and take a load off your general editing work. When working with audio, you’ll find the same stretching algorithm available in Ableton. It gives you an incredible amount of freedom to fit audio files to the grid with the least possible amount of degradation. 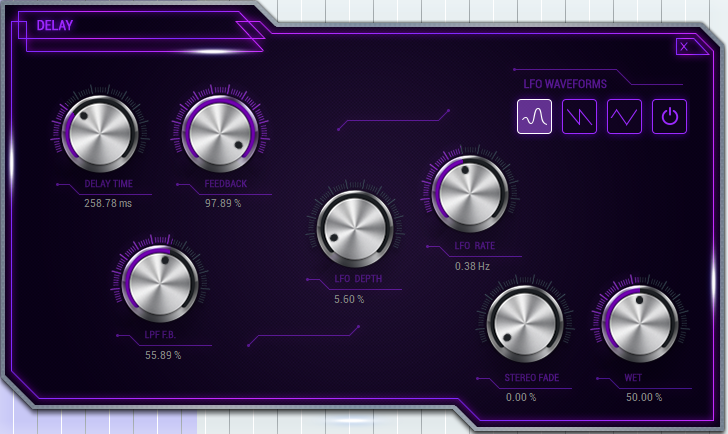 To demonstrate this, I’ve loaded up a sample from Lumit’s sound bank. The original sample plays at 120 BPM but my project file is at 128 BPM. 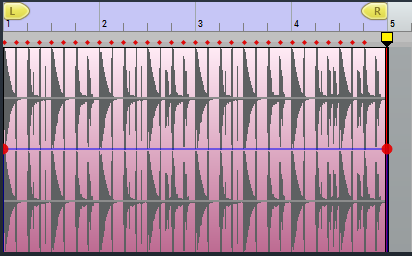 In the edit window shown here, you can see that the yellow marker at the end of the clip comes just after the end of the 4th bar; this indicates that the clip is a slower tempo than the project BPM. 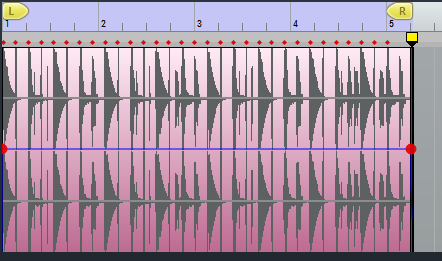 To fix this, all I’ve done is set the end marker to the end of the 4th bar, and now the clip plays at the project BPM. Of course, some spectral content is introduced in the process – it is not a limitation of the software, but rather something we have to accept when stretching audio files; the algorithm in Lumit really minimizes the effect these artifacts have on the sound. ~ Here’s the sample at 120 BPM. The stretch algorithms are not the only attractive feature of the edit window. 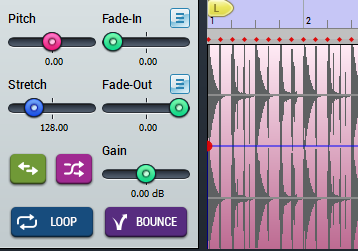 The fade-in and fade-out features are handily built into the sidebar and offer different curves for affecting the audio level: linear, logarithmic, exponential and raised cosine. You can change the pitch of the audio clip as well as reverse it and invert the polarity. The bounce feature enables you to finalize any of the edits you’ve made by overwriting the raw clip. This is a great feature for reducing CPU usage and it’s just a good way to consolidate your edits before moving on with other things. In the MIDI realm, the piano roll not only gives you the controls you’d expect in “top of the range” DAWs, but it also provides some basic creative features that can change your music in unexpected ways. The divider and multiplier serve to change notes’ duration. Depending on whether you have a single note selected or not, they will affect the length of a single note or the entire segment. 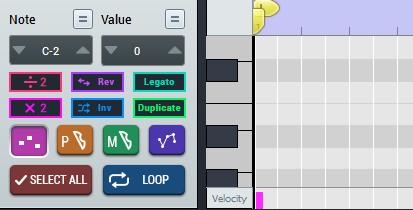 Legato will stretch the selected note until the next note, which is really useful and isn’t common to other DAWs. It also serves as a one-click way to make a lone MIDI note fill the block it is in. The reverse and invert functions change the arrangement of your MIDI notes accordingly. The piano roll also combines pitch wheel, mod wheel and aftertouch automation with the MIDI clip, as we commonly see. This keeps the automation clips together and organizes them in a coherent way. As you can tell, these creative tools help generate ideas very quickly. Whether you end up tweaking them or not, they can provide the stimulating material needed to inspire a melody or other musical element. Lumit provides one of the simplest, coherent and intuitive interfaces around. It may not include EVERY creative feature you get in expensive DAWs, but it gives you what you need to make music; and, in that regard, you never feel limited. It is way more affordable than any of its competitors, making it accessible to a wider public. With VST compatibility, it differentiates itself from other products in the same price range and gives the user access to all the resources they could possibly need. Finally, Lumit is touch screen compatible. This is such a great addition that makes the whole music creation process much more interactive and organic. By getting away from your keyboard and mouse, you feel like you’re making music rather than programming it. 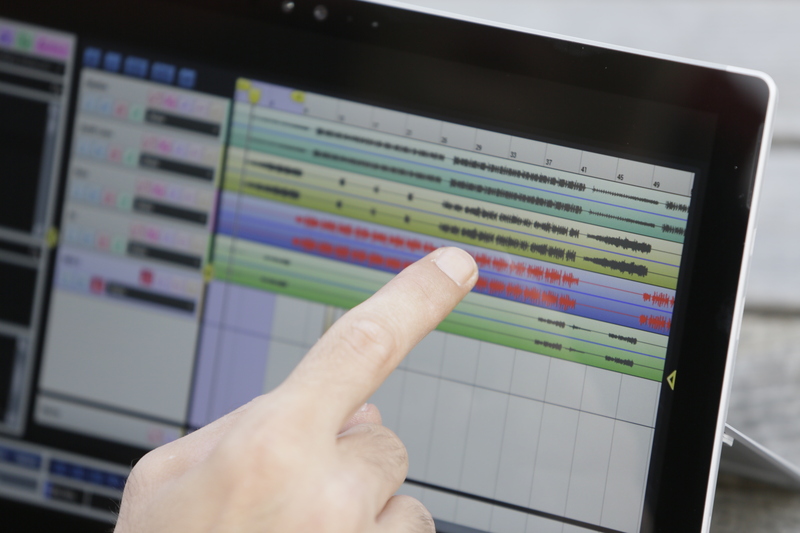 In parallel with tablets like the Microsoft Surface, it enables mobility that other DAWs just can’t compete with.